Home > Campus News > PRCAI endorses MET EDPRM! 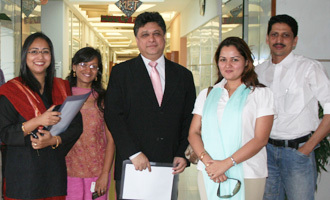 MET Institute of Mass Media and PRCAI (Public Relations Consultants Association of India), signed an MOU for the Executive Diploma in Public Relations Management Programme (EDPRM) on February 5, 2010. This programme aims to sharpen the skillset of those who aspire to make a mark in the dynamic PR industry. PRCAI endorsed the EDPRM programme and will render active support in areas like research, seminars, industry meets, conferences, awards, faculty, syllabus.